KOBOLD EDM-8000 Battery Powered Rate Meter and Totalizer for Water. Compact and Portable. 1 to 10 to 60 to 6000 GPM flow rates. Lithium battery-powered LCD display. PVC Construction. Option "F" is only available for 3" and 4" meters. The EDM-8000 series flowmeter accurately measures and totalizes water and other low-viscosity, water-based, or compatible liquids. It features an economical, yet rugged, PVC body. The lithium battery-powered LCD display has a resettable batch totalizer, a non-resettable grand totalizer, and rate indication. 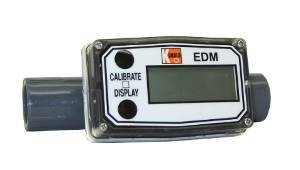 The EDM is factory calibrated for water and is also suitable for other low-viscosity liquids up to 10 centistokes. 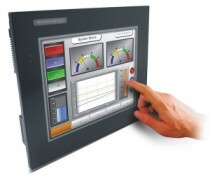 If needed, the unit can be field calibrated through an onboard display routine. It is available in line sizes from 1/2" to 4". Available process connections include: PVC glue sockets or female NPT fittings. Additionally, 150# ANSI flanges are offered for 3" and 4" models. > TOTALIZERS > GENERAL PURPOSE : 14 Items found. 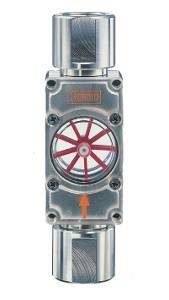 KOBOLD REG Automatic Flow Regulating Valve for Liquids. Brass or SS Construction Available. Compact Design and Universal Mountability. 2900 PSIG max pressure. 0.13 to 10.56 Flow Rates. 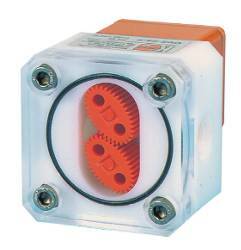 KOBOLD DAA Flow Indicator with Self Cleaning Mechanism for liquids. Transparent Glass Cylinder. 232 PSIG max pressure. Universal Mounting. KOBOLD KSM Plastic Flowmeter and Switch for Liquids and Gases. Excellent for aggressive media applications. Trogamid-T or Polysulfone tubes. �4% Accuracy. Shock and Corrosion Proof. 145 PSIG Max Pressure. KOBOLD DAF Paddle Wheel Flow Indicator for liquids. Rotatable. Universal Mounting. 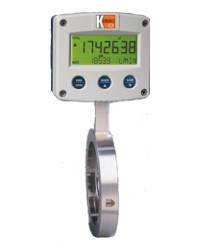 KOBOLD OVZ Economical Oval-Gear Flow Meter For Viscous Oils. Available with Hall-effect or inductive sensors. �2.5% Accuracy. 10 to 800 cSt viscosity range. Five Material Combinations. Optional Analog Output, Frequency Output or Digital Indicating Output. KOBOLD RCM-5 Direct Reading Wafer Style Flowmeter for Liquids. Compact Design and Easy to Install. 0.3 to 60 GPM Flow Rates. �3% Accuracy. 180 PSI Max. Pressure. Bronze, Monel or 316 SS Body Material Options. KOBOLD RCM-7 Direct Reading Threaded Flowmeter for Liquids. Compact Design and Easy to Install. 0.3 to 15 GPM Flow Rates. �3% Accuracy. 180 PSI Max. Pressure. Bronze, Monel or 316 SS Body Material Options. Kobold MIM Electromagnetic Flowmeter for temperature and bi-directional flow measurement of conductive liquids in pipes. 316 Stainless Steel Housing. Switching, Transmitting, and Batching Functions. 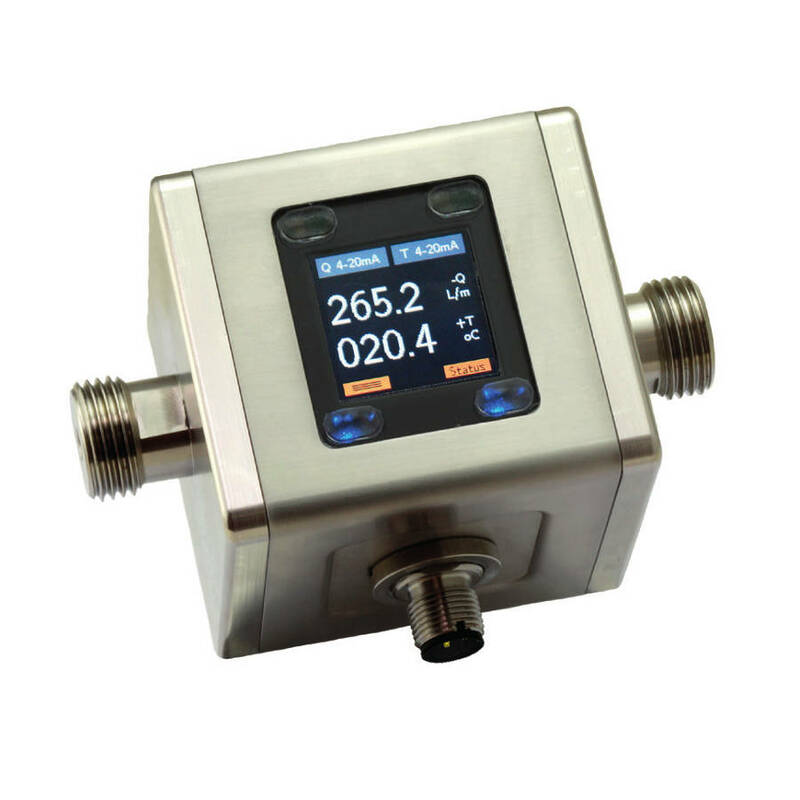 Includes PT1000 Temperature Sensor, Colored TFT Display, 2 Configurable Outputs and M12 Electrical Connection. IP67. KOBOLD RCM-7 Direct Reading Threaded Flowmeter for Liquids. Compact Design and Easy to Install. 3.0 to 500 GPM Flow Rates. �3% Accuracy. 180 PSI Max. Pressure. Bronze, Monel or 316 SS Body Material Options. KOBOLD RCM-6 Direct Reading Wafer Style Flowmeter for Gases. Compact Design and Easy to Install. 1.5 to 800 SCFM Flow Rates. �3% Accuracy. 180 PSI Max. Pressure. Bronze, Monel or 316 SS Body Material Options. 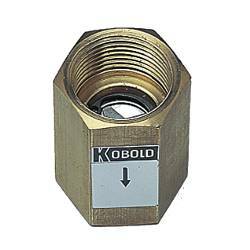 KOBOLD RCM-9 Direct Reading Threaded Flowmeter for Gases. Compact Design and Easy to Install. 1.5 to 150 SCFM Flow Rates. �3% Accuracy. 180 PSI Max. Pressure. Bronze, Monel or 316 SS Body Material Options. 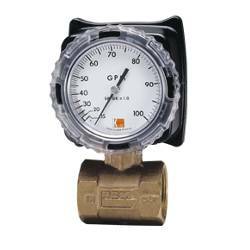 KOBOLD RCM-9 Direct Reading Threaded Flowmeter for Gases. Compact Design and Easy to Install. 30 to 4000 SCFM Flow Rates. �3% Accuracy. 180 PSI Max. Pressure. Bronze, Monel or 316 SS Body Material Options. 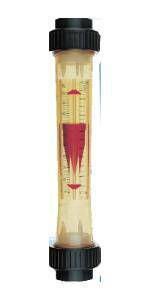 KOBOLD RCM-5 Direct Reading Wafer Style Flowmeter for Liquids. Compact Design and Easy to Install. 15 to 3000 GPM Flow Rates. �3% Accuracy. 180 PSI Max. Pressure. Bronze, Monel or 316 SS Body Material Options. KOBOLD RCM-6 Direct Reading Wafer Style Flowmeter for Gases. Compact Design and Easy to Install. 150 to 20000 SCFM Flow Rates. �3% Accuracy. 180 PSI Max. Pressure. Bronze, Monel or 316 SS Body Material Options.